The Speedo ® Star Wars Inflatable Noodle and Goggles Set is great for having fun in the pool. Featuring an amazing Star Wars print, it will help children build confidence in the water and improve their kick technique. 1 x Speedo Star Wars Inflatable Noodle. 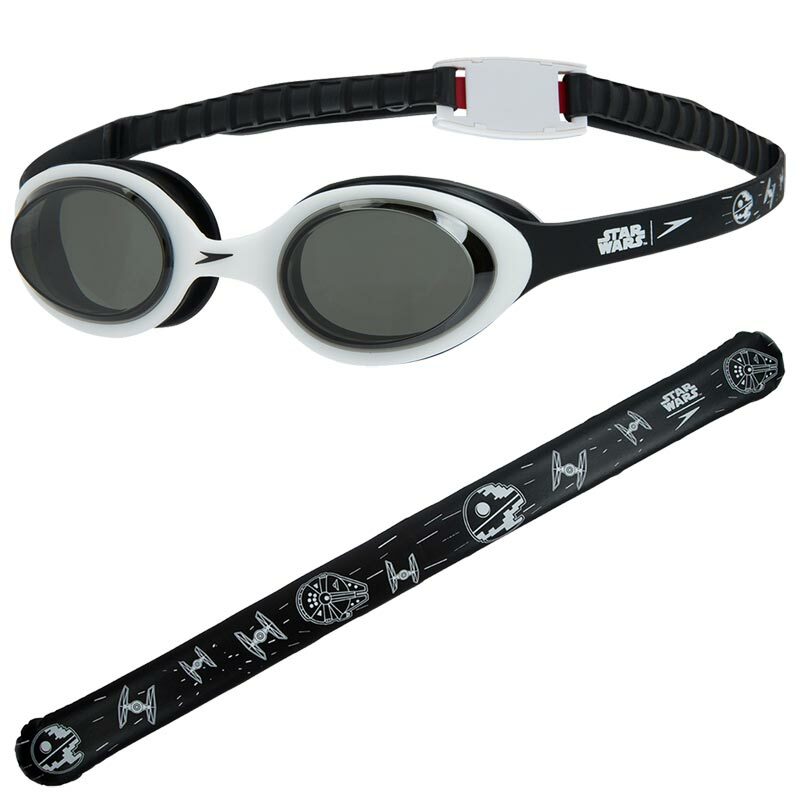 1 x Speedo Star Wars Goggles. Manufactured to Australian and European safety standards. Part of the Speedo Learn to Swim range. Helps children improve kick technique. Easy to pack - ideal for holidays. All new Lucasfilm's Star Wars print on side strap.